Oil prices are holding above $50 so far Tuesday, boosting sentiment on world stock indexes. Also in focus is the perceived ‘win’ for Hillary Clinton in the latest US presidential debate. Asian markets closed mixed with China and Japan are leading the gains with Tokyo helped by a weaker yen. Australia’s ASX also closed higher. South Korea’s index was under pressure from Samsung which saw a further decline due to its ‘exploding’ Galaxy Note crisis. optimistic of a new President Clinton. However, Asia’s mixed showing has subdued gains. Wall Street is expected to open higher along with Toronto, which re-opens following the holiday, with housing starts data anticipated. Will Russia’s oil cap really make a difference? 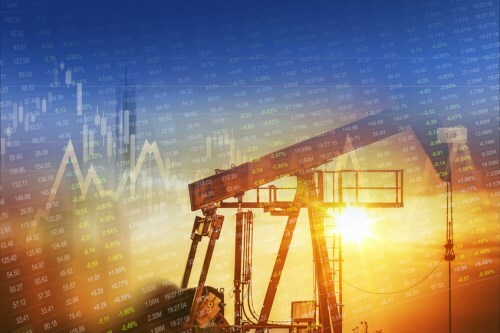 Russia’s announcement that it will join OPEC nations in capping oil output saw prices jump 3 per cent Monday but many analysts are questioning whether it will really have much impact on the volatile market. Goldman Sachs is telling clients Tuesday that the cap from Saudi Arabia and Russia could be largely offset by the higher output from Libya, Iraq and Nigeria. The bank also questioned whether the cap itself will even be approved. So far, the deal is a verbal agreement by OPEC nations, and now Russia; but it will need to be ratified by members at their next meeting later this year.